Sara is a qualified performer who has graced events such as the launching of the South East Asia Shooting Competition together with newscaster celebrity Ras Adiba. She has also been invited to perform for the launching of Cartier Perfume at KLCC centre court, the Australia Tourism Board Press conference, the opening of Figaro Academy of Performing Arts alongside with Miss Malaysia World , the ASHRAE International conference for Malaysia’s Health Minister and many other events. Sara is equally comfortable performing as a solo pianist or singing , playing a selection of jazz, classical and contemporary pop. She can be hired as a soloist or a duo for the more intimate events or with a full band. She provides her own bespoke jazz band or a top 40s function or wedding band depending on the clients requirements. 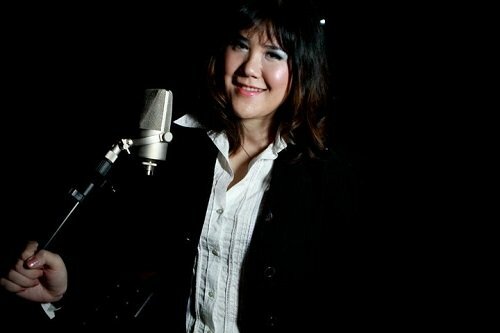 Interested to have local jazz female singer like Sara for wedding event in march 2013. Please provide contact to know more. I was looking for a solo female pianist vocalist and i saw your profile on the web. I will be having a 40th Brirthday Party on 9 June, 2013 from 3.00pm to 6.00pm in a Hotel – Subang. We are hosting our wedding reception (pre-dinner drinks followed by wedding banquet) on Saturday 10 May 2014 in Penang. We are looking for artist who can perform at our function. I love jazz and bossa nova style and really like your voice and singing. (2) if so, what is your fee? Your prompt reply is much appreciated. Kindly send me your charges of your performance. Or can you give me your email add to send you my requirement. Could you Kindly send me your charges/package of your performance. Am having a wedding october 2015 and looking for piano soloist for the dinner reception. kindly contact me 012-2345303. Thanks lots ! Need Solo Pianist and Singer for private event on early Sep in KL. Pls email back asap. Thanks! Dear all, I must apologize for the very very late reply. I moved to Norway 2 years ago and is currently living in Oslo. Kindly email future inquiries to my email at sara.musician@gmail.com. I can recommend similar musicians of my style if I am not able to perform for your event. Thank you very much once again for your many replies and interest in my music.